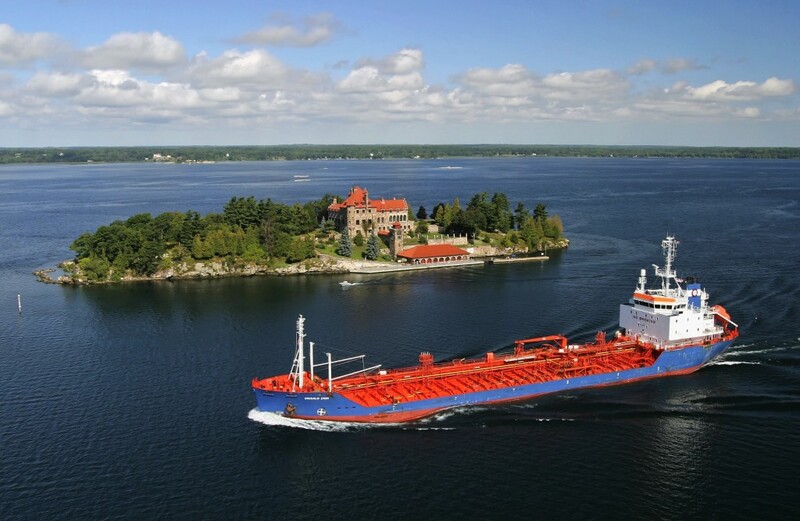 For photographer Ian Coristine, capturing the essence of the Thousand Islands region has become his life’s passion; inspired, no doubt, by having lived on a Thousand Isle of his own for 17 years. 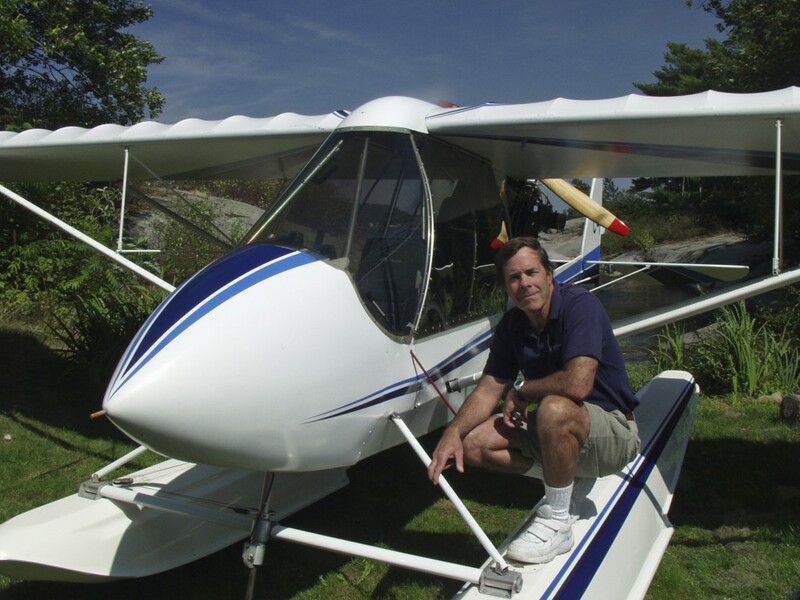 The quiet life on his little Raleigh Island is quite a departure from his previous incarnations as a Formula race car driver, high-tech entrepreneur, and ultra-light aircraft pilot. 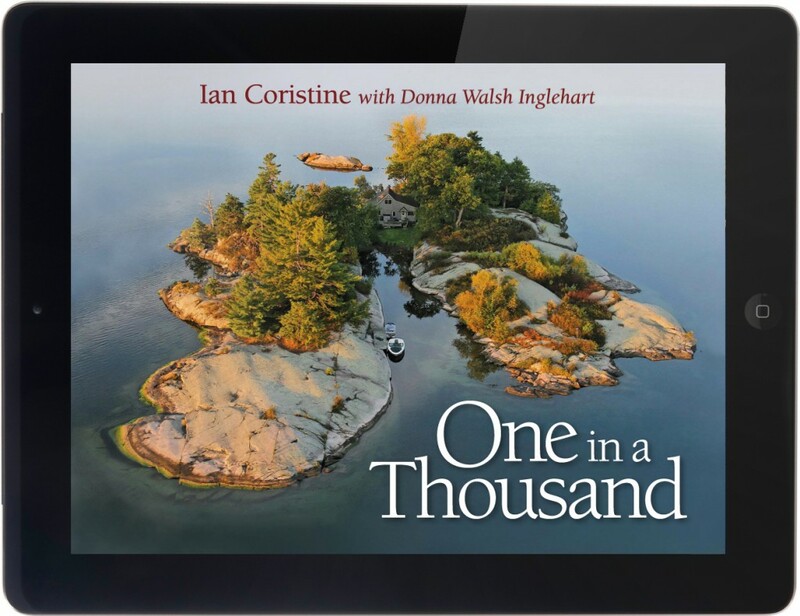 Now, the tale of how he discovered his island and the immeasurable beauty of the region is available in a ground-breaking interactive eBook, One in a Thousand. Now, people from across the globe can see the island for themselves through Ian’s eyes. As a multi-sensory experience that aims to envelop its readers, the creation of such a unique eBook posed many challenges, but the results have placed One in a Thousand firmly at the vanguard of mixed-media publications. “I was very fortunate to have found so many talented people to work with to help create something far better than I could have accomplished alone,” said Ian. A project that was very close to his heart, the story of his island was eight years in the making, but well worth the wait. One particular challenge was finding the right technical partner to make the eBook easily accessible, especially to iPad users. After months of futile discussions with international app developers, Ian finally made contact with a firm that was prepared to take an innovative new approach to One in a Thousand: McLellan Interactive Publishing. Surprisingly, the company’s CEO, Doug McLellan, was a Thousand Islander himself. Together with his wife and collaborator Caroline Yung, Doug wove a tapestry of music, imagery, video and interactive media to bring Ian’s story to life. The amalgam of disparate media in One in a Thousand blended into a captivating story that has garnered rave reviews. The engaging narrative was co-written by novelist and teacher Donna Walsh Inglehart, who came to Ian’s attention with her 2010 historical novel, Grindstone, a finely-wrought account of Thousand Islands life in the years after the American Civil War. The instrumental music featured in the eBook is courtesy of the award-winning Canadian folk/rock band Great Lake Swimmers, who first met Ian when he found locations for them to record their acclaimed 2009 album Lost Channels in famous spots around the Thousand Islands. One in a Thousand has now been downloaded in 29 countries, a feat that would have been strategically impossible for a small-run publication before the eBook revolution. Users of iPads across the globe now have access to his stunning photography and fascinating stories; while he had previously published five best-selling books on the Thousand Islands, advances in technology have provided a much broader distribution, and, perhaps most importantly, allow for creative new ways of telling stories. The book is available directly from the iPad App Store, rather than through the iBook store or iPad book store.